It’s not every day that we get out the chainsaws along with the heavy equipment to remove a huge fallen oak tree. 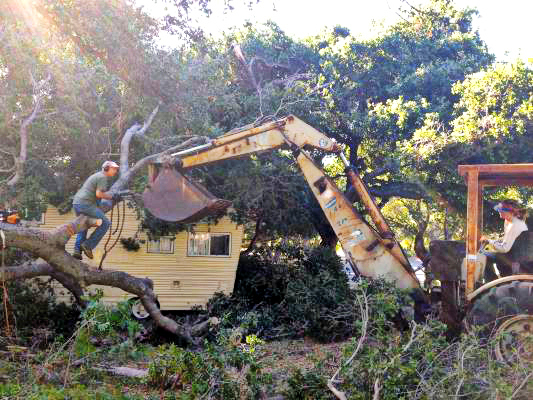 Last night the vicious Santa Ana winds knocked down one of the charter trees here at Kenney Grove Park, and it partially damaged the camp office, a vintage motorhome. 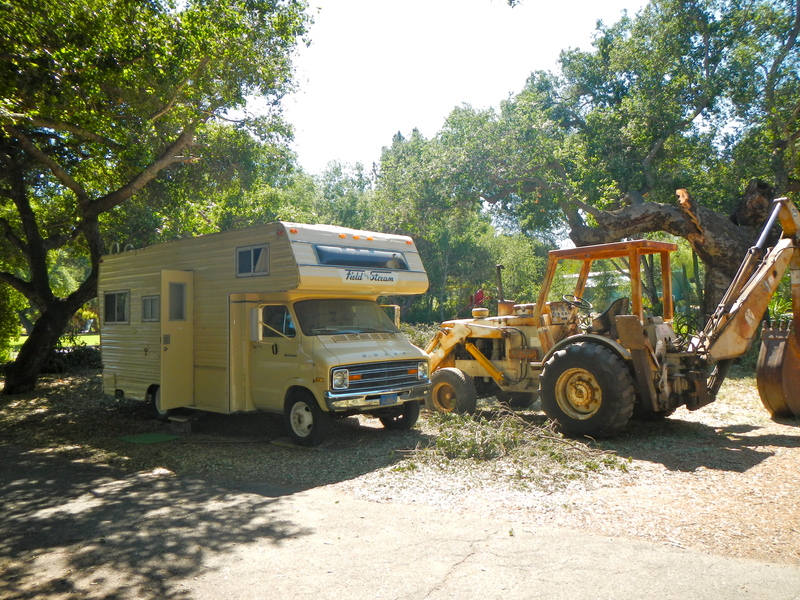 We used the backhoe and a chain to pull sections of the tree off the old camper. The golf cart is loaded with tools for the tasks. Every work-camp location has its unique set of tasks that comprise the typical day. My current jobs include tree trimming, painting, weed whacking, raking campsites, prepping for groups who are coming in and then cleaning up after they have left. 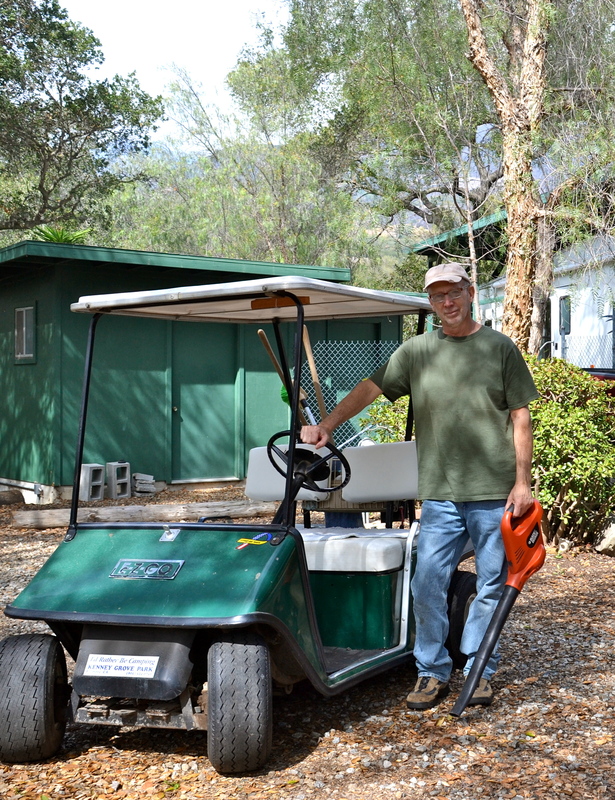 I have repaired golf carts, sharpened chainsaws, and replaced rusty hardware. Most days require a string of light duty tasks; it’s an unusual day when we have to clean up a massive oak tree. Yippie! 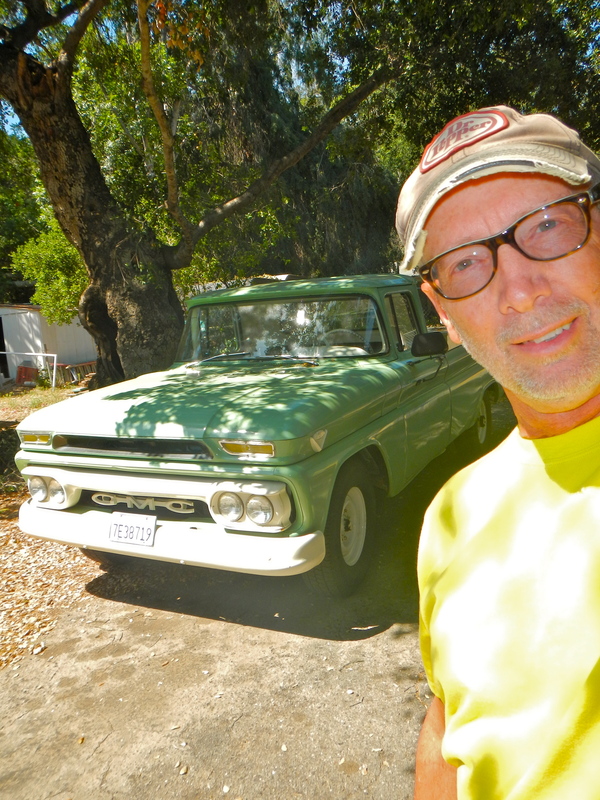 I get to drive the 1963 GMC pickup today! Actually, the timing of that was pretty good, since I’ll be moving on in a month and there may not be another helper right away to help Rona, the manager who usually works alone. Apparently, I’m the first chainsaw operator she’s had here in four years. It’s important that the worker matches the job requirements, and it helped that I had a lifetime of experience with the chainsaw, the backhoe and antique manual-shift trucks that date back to 1957. 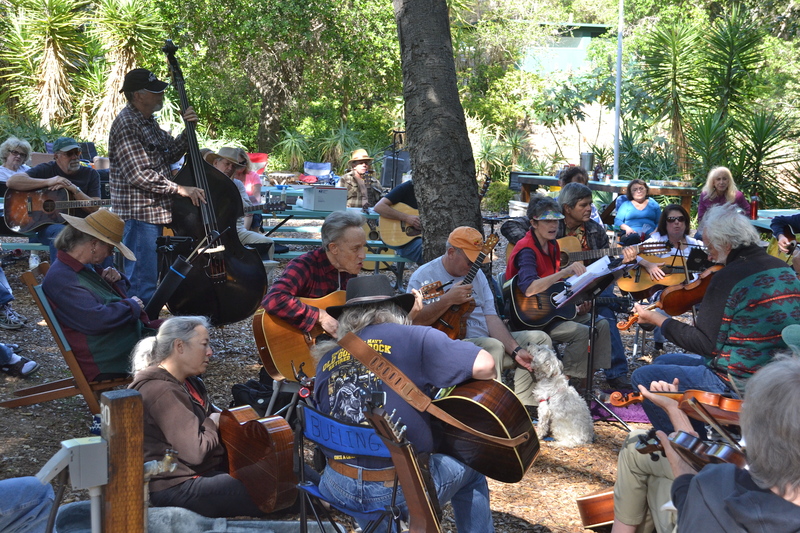 Kenney Grove Park is a regular destination for the Songmakers camping club. Since I am not a morning person, it helps me that starting time is 9:30 or 10:00 and there’s a half-hour break for lunch and then another two hours of work in the afternoon. I’m often done by 2:30, so evenings are open for going out to dinner or meeting with friends or visiting some of the plentiful attractions along the southern California coast. 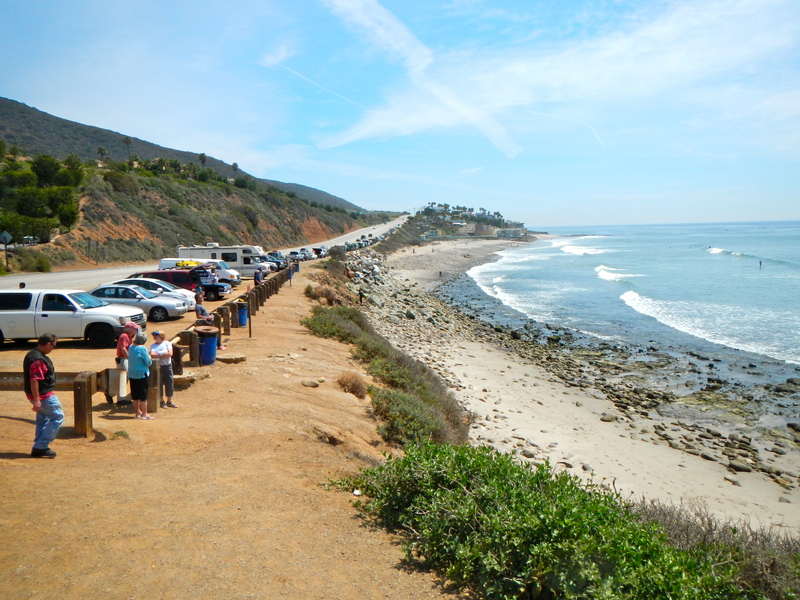 Mugu Point Beach is popular with surfers and has a famous 1950’s-style fish-fry diner across the road. Go to Neptune’s Net website here to see what famous movies they are in. Though it was the mild winter weather that drew us here from cold Michigan in the first place, Kaye and I have enjoyed an assortment of local sites, including the Reagan Presidential Library, the Old Mission at Santa Barbara, the historical railroad museum in Fillmore, the national forest wilderness, and of course, the beautiful Pacific coast beaches that line the shore from Malibu up to Santa Barbara. And then there are the eateries which run the full spectrum of world ethnicities from the local Mexican cuisine to — well, you name it, you’ll find it nearby. 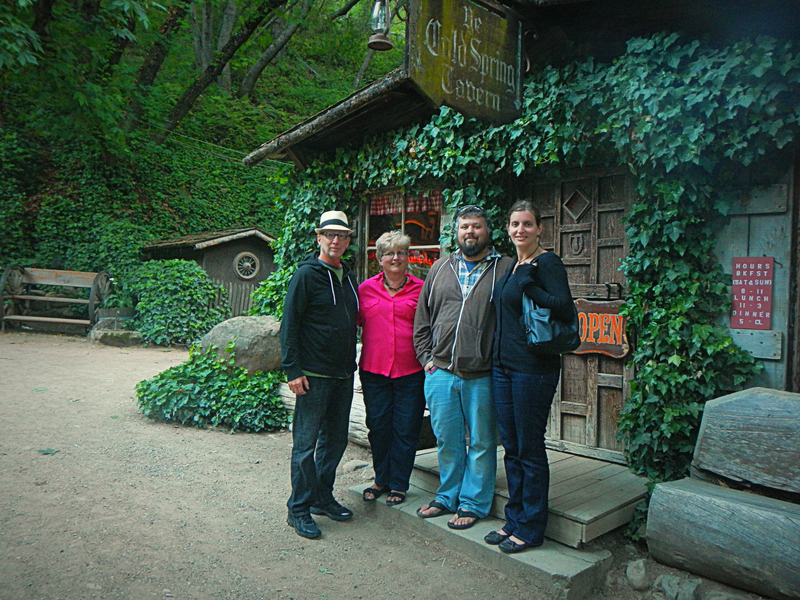 With our kids we dined at 150-year-old Coldspring Tavern which began as a stagecoach station in the mountain pass above Santa Barbara. Celebrity sightings are common here. I am retired, and I like to feel like it. I wasn’t sure that work-camping would actually work for me, because I haven’t worked a full day in several years. But the placement here at Kenney Grove Park has been just about perfect for me. I usually work for 3 or 4 half-days, and then get a couple of days off before reporting in again. The campsite that I am working for is beautiful and secluded with a canopy and storage shed on site. This was probably the best first-time work-camp assignment that I could have hoped for and I might try it again. But I am also an adventurer, so I will likely not return to the same location for a five month stint again. Have at it, friends! The west coast awaits you! The link to the Workers on Wheels listing for Kenney Grove is here. The 1976 Dodge motorhome emerged from under the fallen tree with only one broken window. 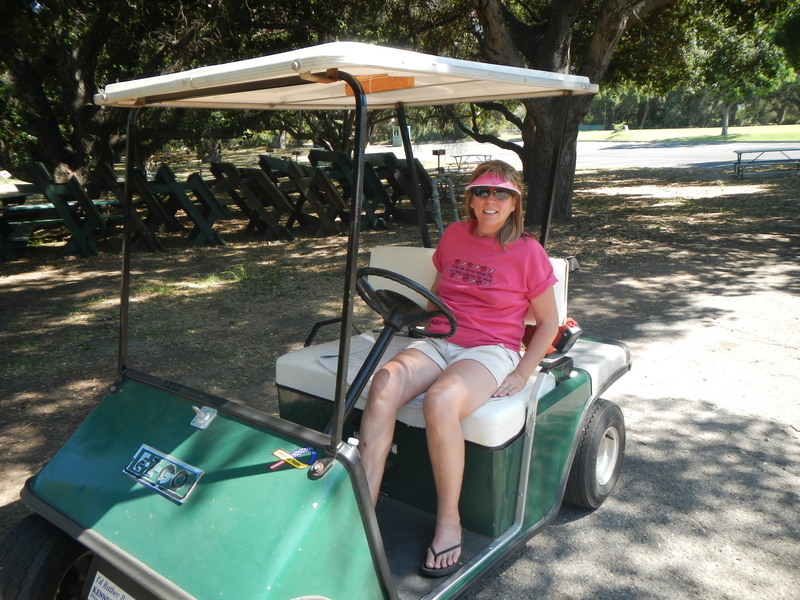 Kenney Grove Park manager, Rona, keeps everything running like clockwork. Previous PostThe Economy of the WanderlifeNext PostThe Alaska Highway – Here We Come!